linzlinzlinz: Hey, you inspire. An Extra Feature. Hey, you inspire. An Extra Feature. My typically "Hey, you inspire." feature for this week is on hiatus until next Tuesday. Life complicates things some times, and I know this more than most. The lovely Heidi Larsen has met some unexpected obstacles and will be spotlighted here next week. In the mean time, here's an extra little inspiration. A long long time ago I was rummaging around a local thrift store, like I do when I need distraction or some time to myself and I came across a book that sparked my interest. The book was yellow, a color that has always grabbed my eye, and it had the word "love" in the title. It was only a quarter, so an investment was obvious. I've always been fascinated by love. Not in the romantic sense, but in the literal sense. (I actually don't enjoy 97.3% of all typical 'chick flicks') Love is an effort. It's work and the things that drive it have always been intriguing for me. You know those people that are just really good at loving? I like those people. I began to read Dr. Buscaglia's book and found out that he was a professor. A professor of love actually. Literally. 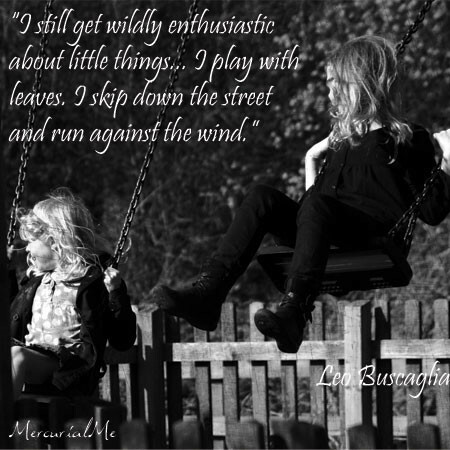 Dr. Buscaglia was also so fascinated by love that he made it his life's work. A couple decades ago you could have even enrolled in his college class so aptly called "Love" at the University of Southern California. I like hugs. I'm a fairly tactile person. I like connected-ness. Actually, I get a bit mad without it. Additionally, when I love something, it's not really passive. In college, one of my best friends used to tease me about how I didn't just love things.... I really really really loooooooved things. 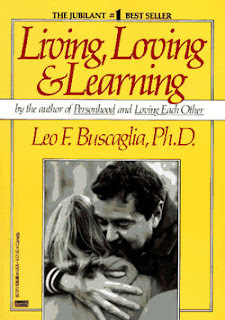 Over the years I've felt somewhat validated by Leo Buscaglia's life work. In the past my interest in love and connectedness had sometimes felt frivolous or cheesy but Leo's passion had helped me realize that this interests were valid causes, even subjects worthy of scholarly endeavor. "I'm trying to say something that has been said a thousand times or more, and probably better than I, but say it very simply; and that is, that life can be a celebration. We choose whether or not we want to celebrate it. If we want to live it fully, experience it fully, it's all there for us like it is for everyone else. If we don't, that's also our prerogative. But I would hope that people who don't choose to live fully in joy and in love and in peace would stop putting their hate and their despair and their inadequacies on other people." 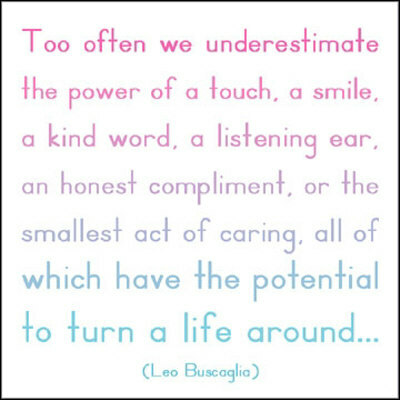 It is for this reason that I wanted to shed a quick spotlight on Dr. Buscaglia. His message is simple. Simple, but sometimes very difficult to employ. I also like that I can justify my irrational excitability with the little things in life because a well respected professor and writer does too. Can we all be a little bit more Leo? I love his simple message. Sometimes just even a smile can make a hard day better. I think we all need to connect to someone else and know that we are thought of and cared about. Thanks Leanne. We live in a busy world and those things feel even more important now... I totally agree! You're the epidome of this message, Linz! I can't think of many people that exhibit this type of love than you! Nice post! You're too kind. By the way, today I'm offering free hugs. Get on down here. Thanks Isabelle. I really appreciate it. You know what always amazed me was how little laughter and such is researched and utilized in medicine in the United States as compared to other countries. I had a friend do a research paper on it and there were very few papers in English. As a nurse I witnessed that it was generally the patients with more laughter and love that did better. Great read, thanks! I had no idea. I'll have to look into that! Thanks for the comment!